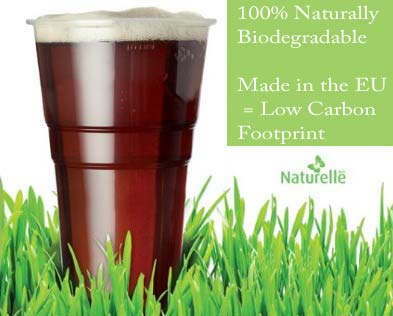 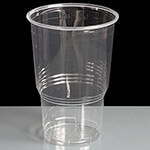 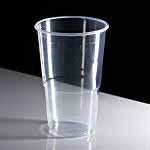 Help the enviroment and pay less with our eco-friendly oxo-biodegradable plastic pint glasses and half pint glasses. 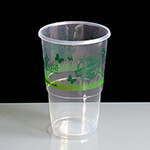 They are great value for money when compared to other glasses made from compostable / biodegradable materials and will degrade anywhere on land or sea. 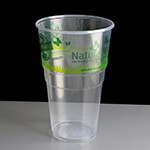 Produced completely (glasses and packaging) here in the EU they have a much lower carbon footprint when compared to other bio products made in the US or China. 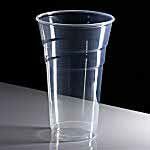 At the moment these products have a delivery time of up to 5-7 days, if you need them sooner please give us a call.